Which is why the original linked setup doesn't have a good front brake. The original 12mm M/C is just too big. The original road tests of the V50s always mention the brakes as being very good and I don`t recall any of them saying that the front brake was `wooden` yet that is todays description. All of my V50/3s have had poor feel to the front brake and I don`t expect my Monza to be any different when finished, however we are comparing them to todays excellent brakes, perhaps its not a fair comparison. If you want complicated then try my R1150RT with servo ABS or maybe not as I had to remove it after it failed big time and went into "limp mode" with virtually no brakes at all! Probably unfair to compare a late 70s brake to the modern ones. Still think they got it wrong on the V50 though. 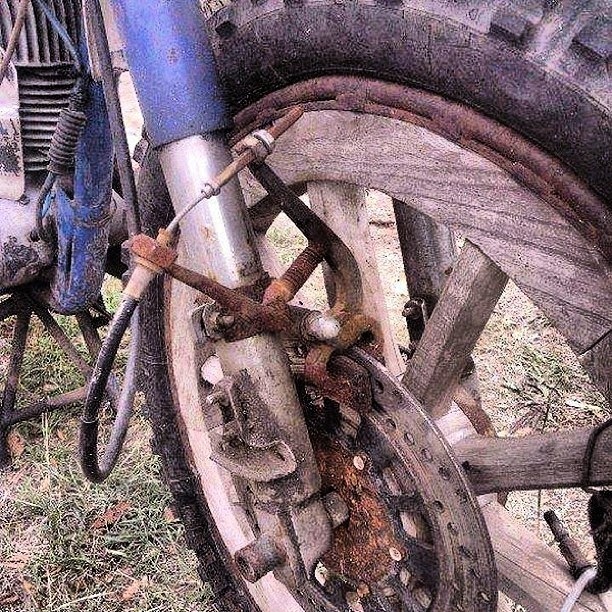 When I bought my Norton Commando, new, the 2LS brake was supposed to be excellent. I eventually changed to a Norvil single disc and could easily outbrake any other Commando, often by about half the braking distance. The original 2LS suffered very badly from brake fade, no matter what linings were used. I think the 2/ls was better than the older Norton single LS type. I remember doing a swap with a mate who had an older model, he wanted to try the commando. I put his through a hedge the brakes were so poor by comparison. Fortunately it was a soft hedge, so no damage done to me or the bike. This is all academic, the key concept with braking is to ANTICIPATE. Well I was still not happy with the 14mm piston sized master cylinder so went down again in size to a 12.7mm off a Honda VFR750. This is better again with a bit more feel. The brakes are working well now but I think 12mm piston size would be better still. The bonus of a span adjuster on the brake lever is better for the wife to reach and she can pull the bike up better without the need to eat too much spinach. Ive also changed the clutch lever for a Nissin one off a Triumph. The dog leg lever means she can reach to use it now. I had to make up a new cable adjuster though as the original one didn't suit the cable. The alternative would have been a new made to measure cable but I had the facilities so it was cheap to do. If you are delinking the brakes I would now suggest a max size of 12.7mm for the front and if you can find a 12mm - try that.